In this review we are going to prove the “Binary Vault” presented by Maverick Michales is a scam that you should stay away from. Binary options scams are nowadays all the same. Maverick starts his presentation video with a series of fake testimonials to get your attention and then he tells you the usual story of a guy that has a binary options trading system that generates lots of money. And guess what, he will give it to you for free. And he guarantees that you will make $1000 in your first day. Literally too good to be true. So more or less an ordinary binary options scam. 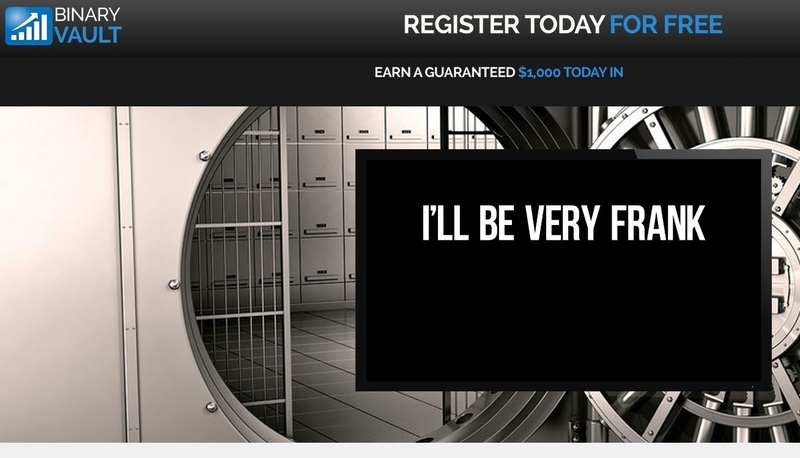 On the Binary Vault page you will also find some fake awards and a badge from Binary Verify, which we know is a scam web site created to support binary options scams. But Maverick gives away a very tangible proof of the Binary Vault being a scam. You just need to watch for a few minutes his so called live trading results. We did it for about 12 minutes to see how the open trades would evolve and we had a good laugh. Just look at the image below at the Google and USD/JPY binary options. On the left you see that in the beginning they were Call options (+). And 12 minutes later on the right screenshot you can see that as the price moved in the wrong direction, the options were changed to Put (-) on the go. Moreover you can also see that the Total Profit is after 12 minutes $125 bigger, although no options were closed in the meantime! The total of won and lost trades and ties is the same. So here you have some very good proofs that the Binary Vault is a big scam. So we’ll say it again, if you want to make money with binary options, you first have to learn to trade. Then you have to trade yourself, no system will make you money for free.